In the Trenches | Flickr - Photo Sharing! 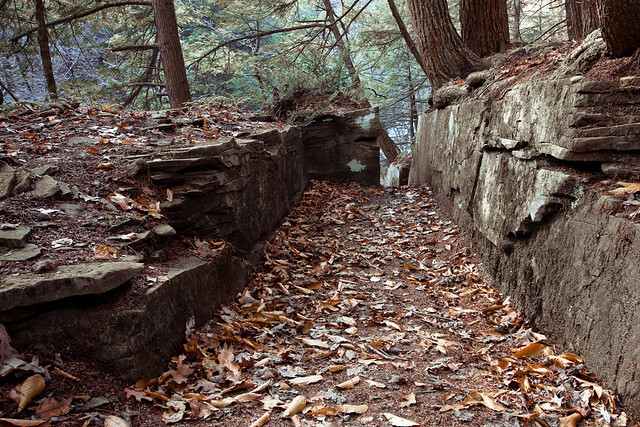 This cool little natural trench marks the way down to the main Bozen Kill Falls. The main 30' high waterfall was almost completely frozen and I didn't get a very good shot of it... check the next photo for the falls downstream a bit. I love it!!! What an incredible path either created by man or by nature. I love the anticipation of this shot Paul! This looks like where Rip Van Winkle went bowling with Henry Hudson.